The loving hands of caring professionals work each day to ensure the optimum health and safety of our residents. Medical and personal care is provided by a nurse and personal caregiving assistants. Coordination of services with outside health care providers, supervision and assistance with activities of daily living (ADLs), and the monitoring of residents’ health are all part of the medical and personal care services provided. A nurse is on duty 24 hours a day to administer medications and handle any medical situations that may occur. The Inn follows a strict policy regarding the distribution of medications to our residents. With careful monitoring, our nurse will administer medications at the specific request of the physician. The nurse is also responsible for contacting the physician and/or family to arrange for transportation to and from the physician’s office or hospital in the event of an emergency. 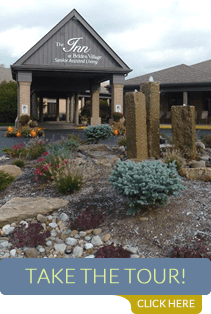 The Inn at Belden Village’s Medical Director accepts our residents as patients, if preferred. He will visit them at The Inn when needed. 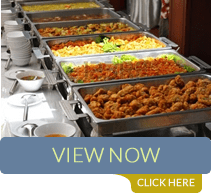 Special Services include assistance with occasional oxygen needs, special dietary services, changing of catheters or more that requires additional care from our staff beyond the daily routines performed. Residents may contract privately with the home health service agency of their choice for needed services. Services are usually covered by most insurances. The Inn at Belden Village also hosts an on-site therapy company, Legacy Healthcare, that provides health talks and assists us in monitoring our residents therapy needs; then,contracts privately with them for therapy services. 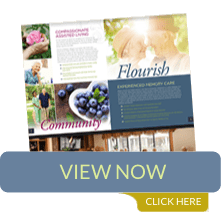 Recognizing that some of our residents had loss of cognitive abilities that intensified over time, causing the inability to function in our regular assisted living area, we developed a special care program. Our Dementia/Alzheimer’s wing features added security and is devoted to the care of residents suffering from severe memory impairment, dementia, and Alzheimer’s disease. We understand our residents may need extra help with their daily living activities. Whether its mobility, personal hygiene, or orientation, our personal care staff is highly trained and available to respond compassionately to our residents’ needs. Mobility can be a challenge for some of our residents. All walkers and wheelchairs are acceptable; however, it is the responsibility of each resident to provide individual mobility devices. If needed, our staff is available to transfer residents to their mobility instruments, as long as it can be done easily by one person. Caregivers are happy to assist residents to the dining room, activities, bathroom, and other places. Assisted living residents must be able to travel to our dining room for their meals and feed themselves. Caregivers assist residents with many other daily routines of life, as long as it can safely be done by one person. Personal care may involve activities, such as: bathing, grooming, personal hygiene and dressing. Our staff is aware of the sensitive nature of incontinence. We understand an occasional problem happens. Residents needing this service daily must wear protection. Our caregiving staff assists in toileting throughout the day to prevent accidents from happening. Help in clean up and changing are provided when necessary. A personalized incontinence program can be developed to help residents avoid accidents completely. Help is given to residents with cognitive impairments. Caregivers offer cheerful reminders throughout the day to direct residents to the correct destination and times for meals and activities. Reminders are also given for personal hygiene. The staff works to minimize confusion while compassionately supporting the resident. Assisted living with dignity and quality medical and personal care is our goal. This is just one of the community amenities we provide. If you would like to know more about what we do or if you have questions, please contact us. We’d love to invite you to tour our community and have lunch in our dining room.